Asking the Smart Fortwo to do anything other than short commutes is too much. Other electric cars are better for day-to-day uses. The 2019 Smart Fortwo delivers on its promises: two people, electric powertrain, and a city car. It doesn’t promise much else, though. Europe and Austin, Texas, have at least one thing in common: Smart cars on nearly every corner. That’s because the 2019 Smart Fortwo can park in spaces that normal cars can’t. Perfect for the busy piazza or a hoppin’ taco stand, we suppose. The Fortwo is small and looks the part. Its cute exterior has a secret: the frame is exposed and can be painted in contrasting colors. Inside, the Fortwo is spartan and only fit for two. 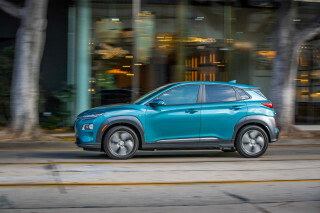 Its 81-horsepower electric motor is powered by a small 17-kwh battery that takes about four hours to fully charge on a Level 2 charger, but only returns about 54 miles. 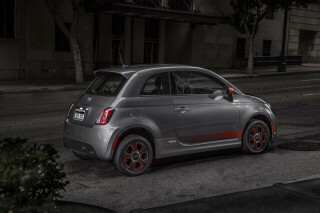 That’s down on every other electric competitor—even some that come close to the Smart’s $25,000 price. At least the Fortwo is truth in advertising: just two will fit. The trunk holds just 9 cubic feet of cargo, which isn’t much, and the interior doesn’t offer many cubbies either. 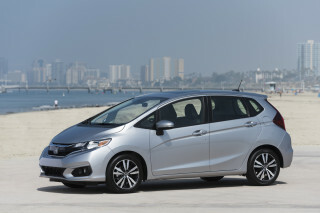 Standard cars don’t have much: 15-inch wheels, a 3.5-inch display for infotainment with Bluetooth connectivity, and cloth seats. Ritzier Smarts get leather upholstery, a 7.0-inch touchscreen with Android Auto compatibility, and 16-inch wheels, but hardly feel like a value. The Smart Fortwo has style for a little fella. The basic car is a two-door coupe, but the convertible still sports a roll bar above passengers’ heads. The Smart’s safety cell is somewhat of an exoskeleton, it can be painted different colors to contrast with the body panels. Neat. Inside, the Fortwo’s cabin is clean and modern, but a little spartan. There’s a little too much hard plastic for what amounts to an expensive two-seater. Small power, small range, small car. The 2019 Smart Fortwo is best around town. The 2019 Smart Fortwo is only an electric car this year; the gas-powered version is long gone. 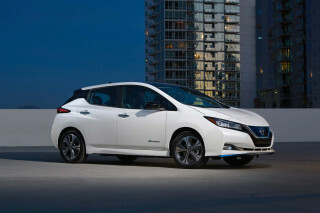 The 81-horsepower electric motor and 17.1-kwh lithium-ion battery return about 54 miles of around town driving. Pushing it up to highway speeds takes time, drains the battery, and its top speed is limited to 81 mph. The motor and batteries in the rear of the Smart Fortwo drive the rear wheels. That sounds like a recipe for fun (the Porsche 911 has a similar rear-rear configuration) but Smart’s electronic controls quickly tame any whiff of craziness. The small car handles well but its gift to the world is a very small turning circle—it can complete a U-turn well within the next lane over. The Smart also can park in places some cars can’t, owners can give each other tips on places to stash the small car in unconventional places via the Smart app. Two people and not much else, the 2019 Smart Fortwo is what it is. We’ve found that tall drivers and passengers can fit within the Smart Fortwo, but long-legged folks may want to remove the tire inflator stored under the passenger toeboard, which can add another 4 or 5 inches of leg room. The Fortwo rides decently for a car with such a short wheelbase, but it’s still nerve racking for first-timers on an interstate—or even in an intersection. The interior plastic is basic, but it’s somewhat improved since the first generation. The cargo area holds about 9 cubic feet, which isn’t big. In the convertible version, without a passenger, the Fortwo could theoretically haul 36,000 vertical feet of cargo. Send pics, please. 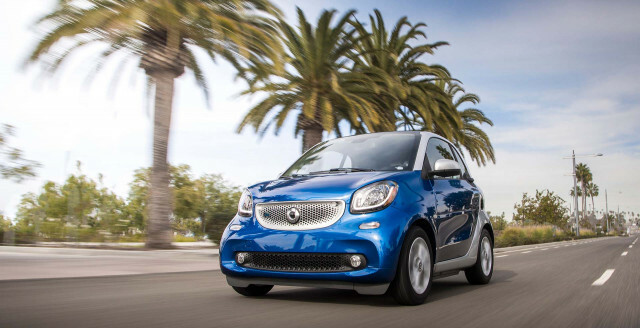 The Smart Fortwo hasn’t yet been crash tested, and lacks active safety features. The 2019 Smart Fortwo lacks full official crash-test data, and considering its low popularity among buyers, that’s not likely to change. The Fortwo lacks active safety features such as automatic emergency braking and active lane control, which is behind many other cars in its class. Blind-spot monitors aren’t offered on the Smart Fortwo, but are likely superfluous in a car that ends just a couple feet behind the driver. The 2019 Smart Fortwo is an inexpensive electric car, but perhaps not cheap enough. The 2019 Smart Fortwo is offered in two configurations—coupe and convertible—with a handful of trims between them. The coupe is available in Pure, Passion, and Prime trim levels; the convertible version is available in Passion and Prime trims. Base, Pure coupes are equipped with cloth upholstery, 15-inch steel wheels with covers, power features, automatic climate control, a 3.5-inch display for infotainment with Bluetooth connectivity. Base coupes don’t offer many optional extras. Top-of-the-line Prime versions add heated and height-adjustable seats, 15-inch alloy wheels, a sunroof (coupes), cargo cover, leather seats, and center console for storage. An upgraded 7.0-inch touchscreen with only Android Auto compatibility is a extra-cost item, as are bigger 16-inch wheels. Prime coupes cost about $27,000 and convertible models cost about $30,000. A smartphone app lets users identify to each other small parking spaces that might not fit a regular car around cities. The 2019 Smart Fortwo is a short-range electric car. The EPA rates the little electric car for only 54 miles of range. That’s not enough to be practical for anything other than a city car or short-range commuter. Every other electric car rated for use on public roads and highways has longer range.